Ear tip of the left ear – ear tipping is mandatory for cats receiving free services through our TNR program. It is a national symbol that indicates the cat has been spayed/neutered. Because we require all cats going through this program to receive a rabies vaccination, cats must be at least 12 weeks of age. No appointment is needed. If you have more than 2 cats to bring in, please contact us at (207) 292-2424 in advance to coordinate. Early morning drop off is Tuesday, Wednesday, and Thursday between 8:30am and 9am. Please contact us at (207) 292-2424 if you need to arrange to drop off a cat at a different time. Cats are ready to be picked up between 3-4pm the day they receive surgery if you wish them to recover at home. Alternatively, we can provide onsite recovery assistance and hold cats until the following day. Donate now to help feral cats in your community! *Owned cats and cats slated for adoption or foster programs will be referred to the Community Veterinary Clinic for an appointment. The free services listed here are available for feral and free roaming cats only. Need to borrow a trap? 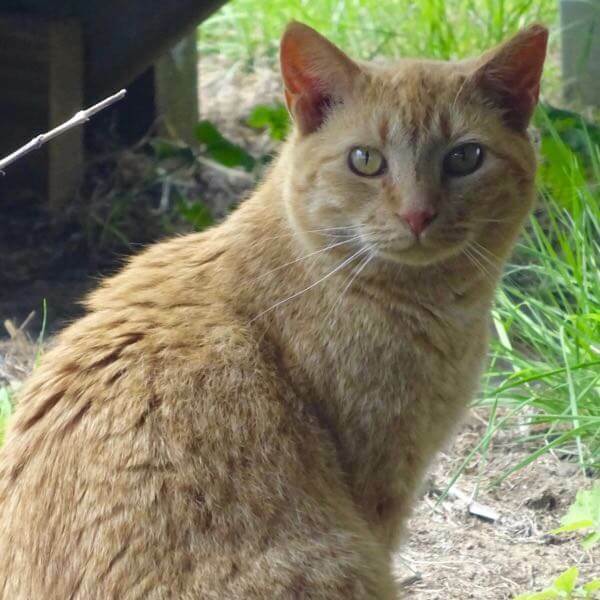 Have questions about how to care for feral cats? Visit our feral cat page for more information.